When you choose a tattoo, you want the design to have a special meaning to you. That is why a lot of parents decide to have tattoos that represent their family and children. 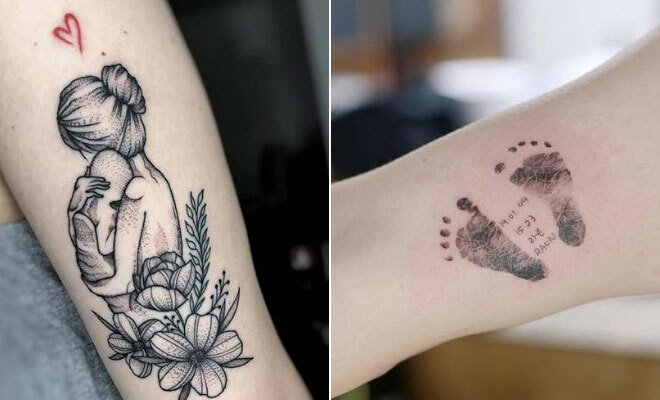 Family is one of the most important things in our life, so it is no surprise how popular tattoos like these have become. If you are looking for a tattoo like this, then you are in the right place. 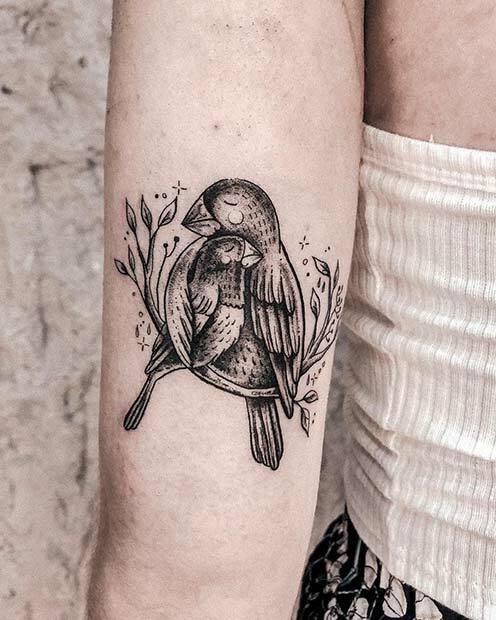 We have put together 25 tattoos for moms that will make you want one ASAP. Any of these will be perfect for the mothers that want to show the world how much they care about their children and family. There is something for everyone from baby footprints, to drawings, family portraits and more. The first idea we have to share with you is this cute baby footprint design. 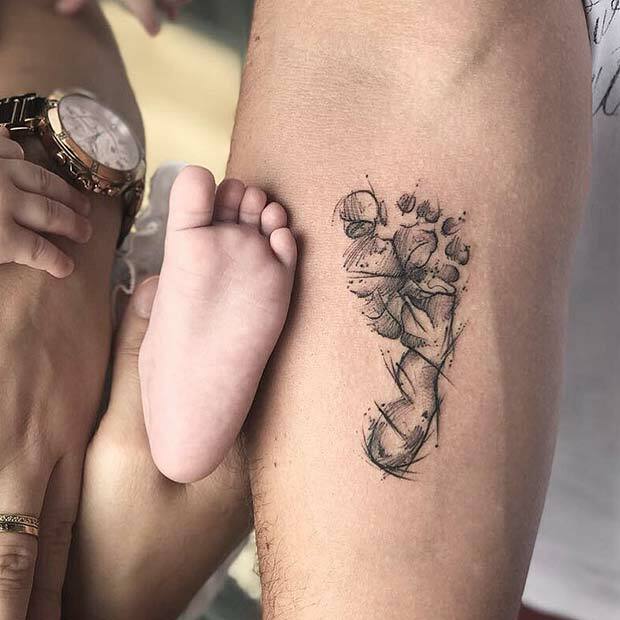 A small tattoo has been created which is the same size as the baby’s foot. 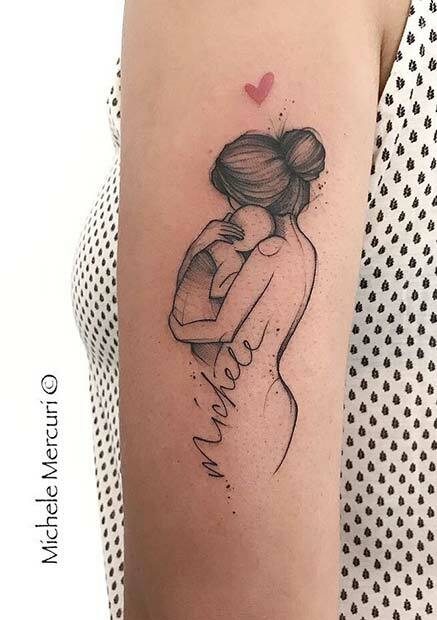 This is a beautiful tattoo and when your child is all grown up, it will be a great memory to look back on from when they were a baby. You can create a trendy design like this or choose your own footprint style. Next, we have an adorable tattoo idea. The design includes illustrations of a family with their cute pet dog! This is a unique, creative and beautiful tattoo design. 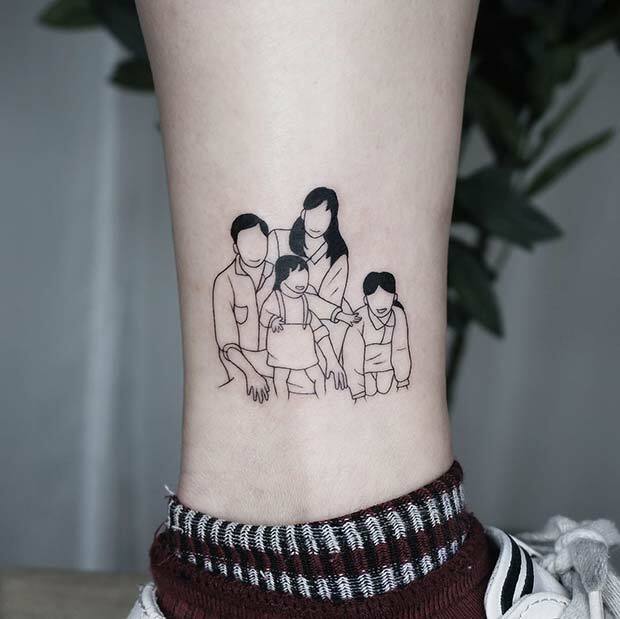 You can have a tattoo like this created that looks just like your family. If you have other animals like cats, you can have those tattooed too. Pets are a part of our family, so it is important to also include them into our family tattoos, right? Photos can be used to create tattoos. So, if you have a favorite photo of you and your child, you can have it turned into a unique tattoo! You could consider having something like this designed. Here we have a mother and child portrait. This is an amazing tattoo and even if you do not have a photo, you can have something very similar created. Just change the hair and maybe add some color and you will have a one of a kind tattoo. You don’t have to choose humans to represent you and your child, you can have a design like this. Here we have two beautiful birds sat on a branch. One bird is bigger and has its wing wrapped around the smaller bird. You can recreate this super cute tattoo or you can choose you and your child’s favorite animal or bird instead. A pop of color can also be added. Tattoos are a piece of art, so why not have a design created with your child’s artwork?! Here is an awesome example. 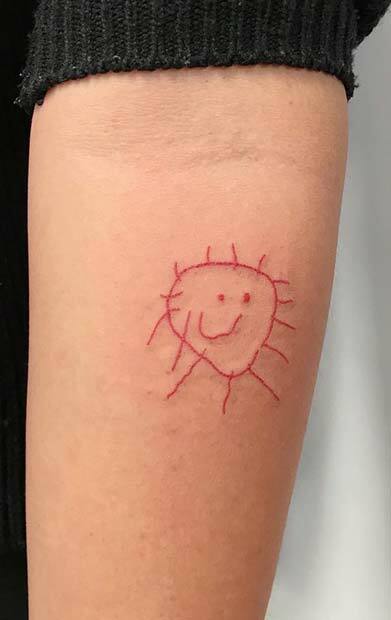 This tattoo features an adorable sun drawing in red ink. It is such a unique and artistic idea! You can have any picture your child has created turned into a tattoo. Such a unique and one of a kind tattoo idea for moms and even dads! Our next idea is another baby footprint design. This one features both the baby’s feet with the date and time the baby was born and the name too. It is a beautiful tattoo idea and it is an awesome way to celebrate a new baby. You can have a similar tattoo to this or have one baby footprint. Maybe add pink or blue color to the design too for a new baby girl or baby boy. Next, we have a super cute personalized tattoo idea. 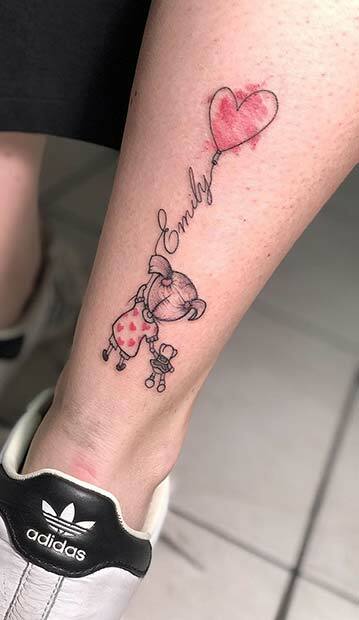 This design features a small girl holding a balloon and a toy. The balloon has the child’s name added to the string. You can recreate something like this, just change the design so it looks like your daughter. If you have a boy, you can also have a tattoo like this, just change the design to look like your son. Make sure to include their favorite toy, too. Earlier we featured a portrait of a mother and her child. If you loved that idea, then you may like this one too. Here we have another photo portrait design but this one features the whole family! 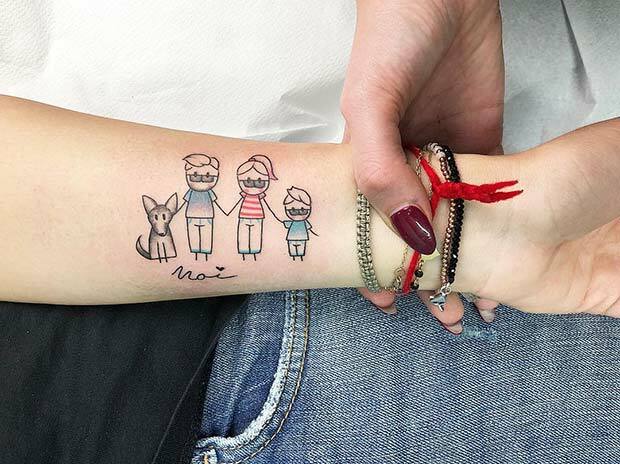 It is an amazing tattoo and you can have a design like this created of your own family. You can include your pets too. The next tattoo is another personalized design. This one features a heart outline. Inside the heart, you can read the baby’s date of birth, what time the baby was born, as well as the weight and size. 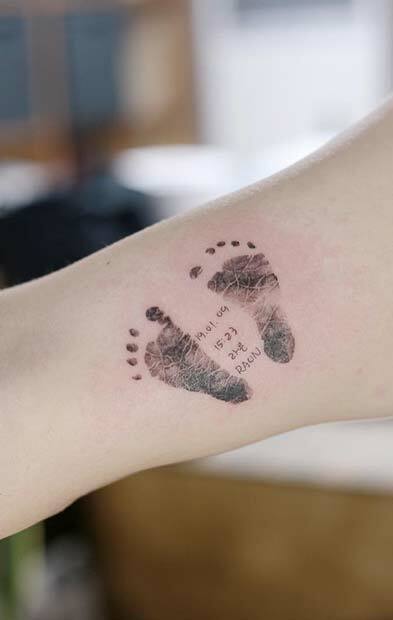 This is a beautiful design idea and a tattoo like this will be a memory of the special day your child was born. If you want a mom tattoo that will wow everyone that sees it, then this design is for you! 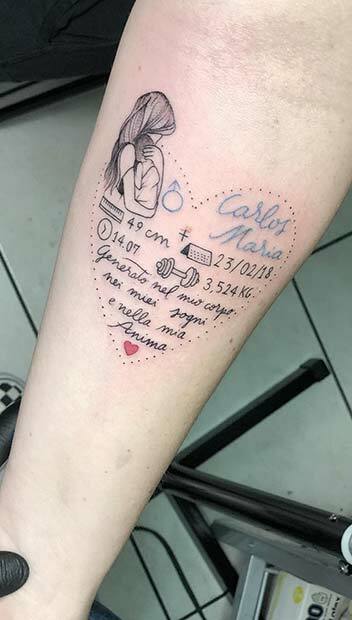 Here we have a beautiful tattoo that features a mother holding her baby. There is a little red heart above the both of them too. It is a stunning design that represents the love and bond between a mother and child. 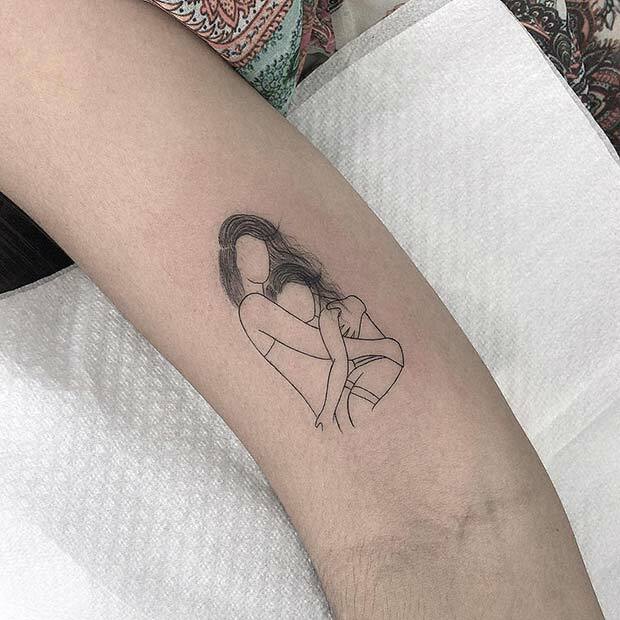 You can recreate this tattoo or change the design so it looks more like you and your baby.